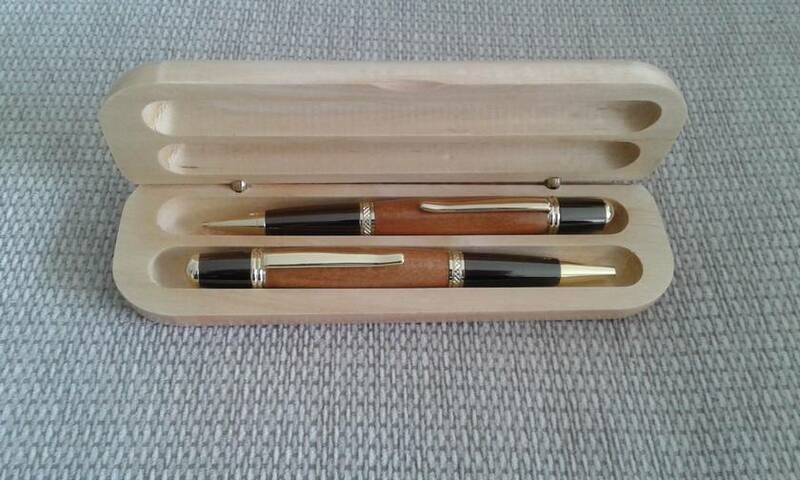 Unique hand turned Sierra Pen and Pencil Set in NZ Ancient Kauri Wood with gold plated fittings. 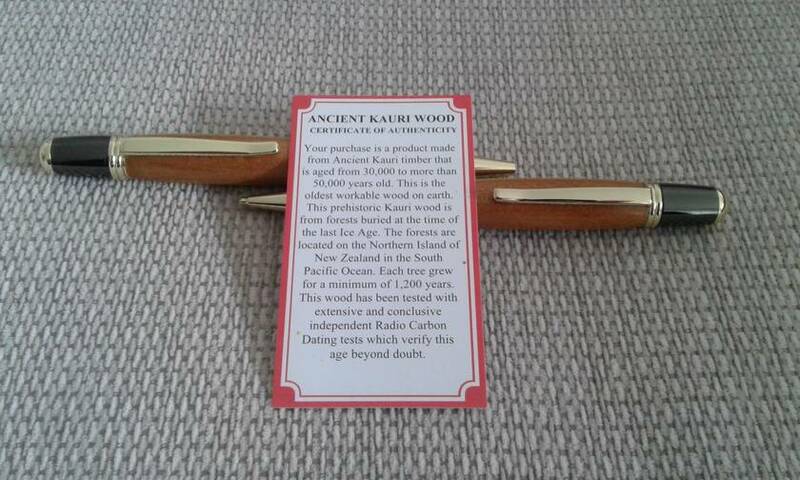 The Pen comes with a Certificate of Authentication confirming that the wood is aged from 30,000 to 50,000 years old. Each pen is crafted with the utmost attention to detail and finished to perfection. 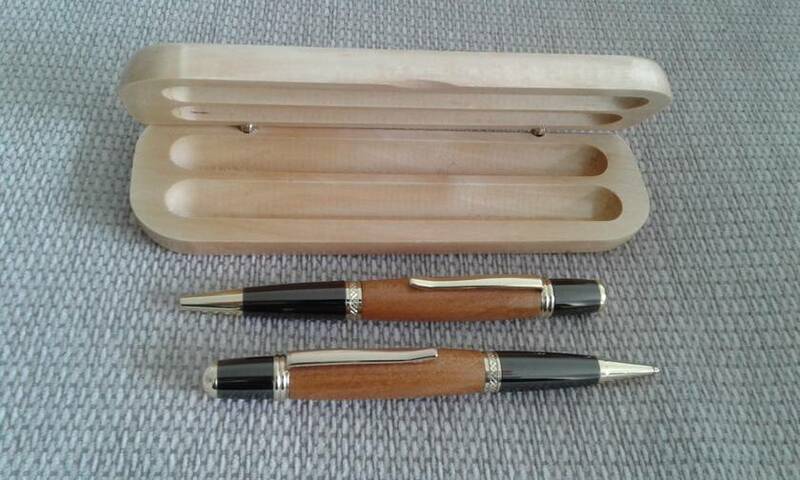 The set is one of a kind and also comes with a double Maple presentation case, suitable for engraving, making a perfect gift or presentation set. This ancient Kauri is a light golden brown in colour with a glow visible in the flecked grain. 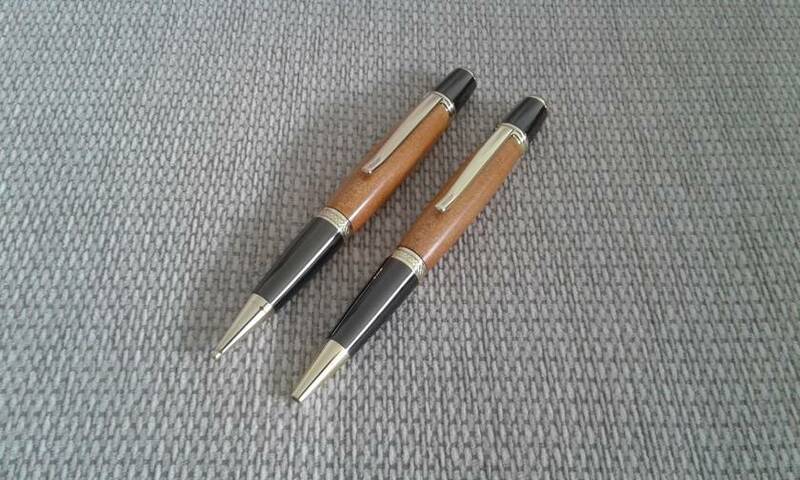 Contact richwoodpens to enquire about payment or shipping options. The quality remains long after the price paid is forgotten!